Google and Microsoft redefined the definition of search through messaging technology like chatbots and apps for mobile and desktop by making a case that it can reach across a brand's or retailer's Web site to find and return information on consumer queries. Messaging creates a new form of search advertising simply by returning information based on chatbot queries. At the Bing Ads Next event in Redmond, Washington last week, Microsoft demonstrated how companies like airline ticket site Skyscanner as well as Delta Airlines, in a demo, use a chatbot by pulling information from their Web site to answer questions. Microsoft also demonstrated a chatbot that serves up on bing.com in search results. 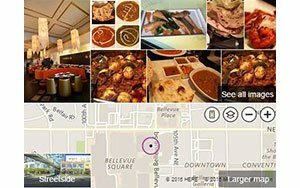 A restaurant called Moksha is testing the technology in the Redmond, Washington area. As consumers warm up to the idea of talk to machines, for brands, agencies and developers integrating the data from chatbots becomes one of the biggest challenges. The disparate systems do not communicate with each other. Apple focuses on Siri, Google on Allo, and Microsoft on Cortana. This next step — not too far into the future — will play out in a way that is similar to the integration of advertising channels such as mobile, desktop and television. Nearly one-third of consumers — 28.9% — prefer to use a chatbot rather than the 29% who prefer to pick up the phone or the 27% who prefer to email when interacting with retailers, according to 7, a provider of chatbot and human agent assistance for retailers, released Monday. Break down the numbers in the study — A Retailer's Guide to Chatbots, Live Chat and Messaging — and Millennials lead when it comes to adopting chat technology — chatbots and apps. Some 37% of survey respondents ages 18 to 34 rank chat as their favorite way to contact companies when making a purchase, with 30% choosing online chat and 7% selecting messaging apps. Overall, 39% of consumers are open to interacting with a chatbot in a retail scenario, but when the study broke that down by demographics, it found that only 9% of Millennials prefer to always interact with a chatbot compared with a human. Millennials, at 40%, prefer to use a messaging app. Surprisingly, the ability to chat online or through a mobile device has surpassed the use of using a phone and sending an email as the most popular way for consumers to interact with retailers, according to the 7 study. While customer service seems to be the most popular use for online chat applications such as messaging and chatbots, a study from Support.com found a home for the technology in tech support. The study found that Millennials are 75% more comfortable using chatbots, compared with Baby Boomers, when it comes to tech support. Millennials also are 138% more likely than Baby Boomers to believe that chatbots are better because they can respond faster than a live agent. About 60% know when they are interacting with a machine for tech support and they are not comfortable with it, with 71% of Baby Boomers and 65% of women saying that they agree. Not all respondents believe chatbots improve tech support. In fact 81% don’t think chatbots improve tech support interactions or respond faster than a live agent, according to the Support.com study. The survey of 2,000 consumers reveals consumers' expectations for more personalized and automated technology support in the near future. The study focuses on technical support, but through the numbers marketers get a clear picture of consumers' views on chatbots. Brands that are planning to implement a chatbot to support consumers online will have many issues to consider. Humanizing technology through virtual assistants and chatbots will not work for all strategies, and will depend on the company's customer base. Privacy will be one of the biggest issues that brands will need to consider when implementing a chatbot. Some consumers are reluctant to share personal information this way, so companies will need to test the waters before they fully jump in.